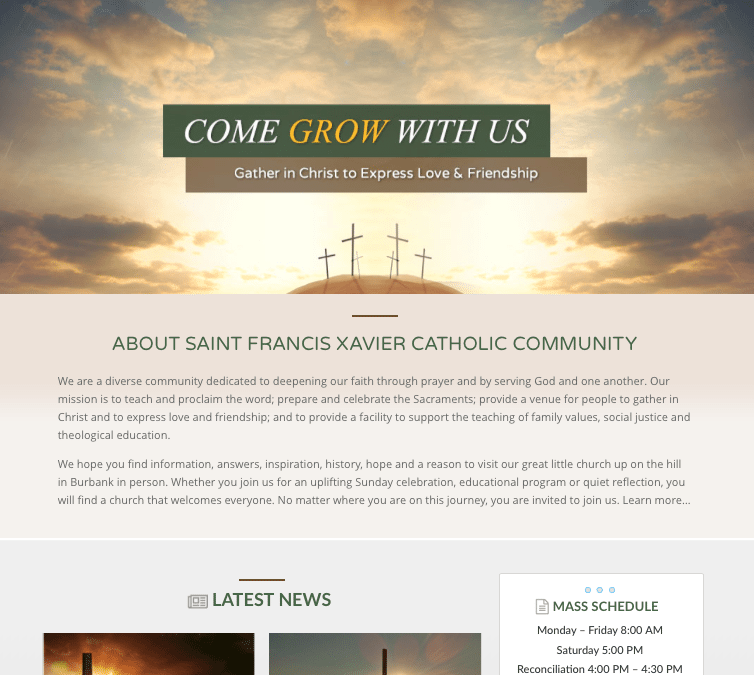 BHM is proud to welcome another client to the family, Saint Francis Xavier Catholic Church in Burbank, California. Situated beautifully against the Verdugo Hills, SFX has been an essential part of the Burbank community. With both an elementary school and church, SFX has played an important roll in touching the lives of many area students.